If you have ever experienced a biometric screening you will have had your blood tested and been given various numbers relating to your health. 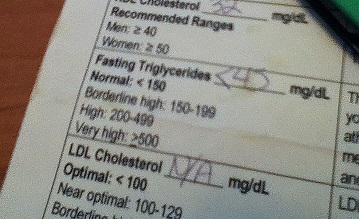 One of these numbers is a measure of the triglycerides in your blood. 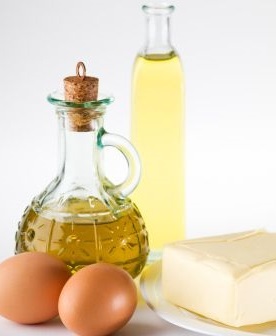 In simple terms, triglycerides are the main form of fat, both in your diet and stored in your body. Chemically speaking, the name comes from the fact that these lipids have three (tri-) fatty acids (chains of carbon atoms) combined with a molecule of glycerol (glyceride). What are triglycerides doing in the body? When you eat a meal, the fats are digested and circulated in your blood for either use or storage. These circulating triglycerides are the subject of the screening tests and provide the number that you find on your test results. When your triglycerides number is greater than 150mg/dL, and especially if it is above 200mg/dL, you are more at risk for developing coronary artery disease, a leading killer in the U.S. This is because too much triglyceride promotes both inflammation of the blood vessel lining and also the development of plaque in the walls of the blood vessels and heart. Another way of saying this is that in addition to making your trousers too tight, an expanding waistline may lead to heart troubles. Belly fat is one outward sign of high blood triglycerides. Interesting fact related to what are triglycerides: Your gall bladder secretes a substance called “bile” which helps change large globs of fat in your meal into smaller particles which are easier to digest. This is similar to the way an emulsifier is used in salad dressing and mayonnaise to allow the water and oil to mix. The main function of triglycerides is to provide the cells in your body with energy. When you eat a meal and then go for a walk, the triglycerides from that meal provide the energy to your muscle cells and all the other cells that are necessary for you to move. If your meal does not provide enough energy, your body may use triglycerides that have been previously stored as fat to keep you going. Conversely, if you sit on the couch and watch TV or snooze after a large meal, your body will store the triglycerides as body fat for future use. 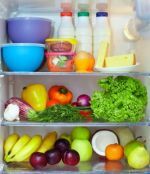 One way to tell if you are storing more fat than you are using is by taking a look around your middle. If you can grab the fat, you are storing too much. It is important to note that fat is not just about energy. It also serves as a cushion for your organs, insulates your body against extremes in temperature, forms cell membranes and is involved in cell signaling pathways. In other words, fat in your diet is necessary for good health. However, eating too much fat, usually related to overeating in general and combined with a sedentary lifestyle, may lead to health problems. Any excess fat that you can see on the outside of your body, especially abdominal fat, may indicate that fat has invaded your vital organs such as the heart and liver. This can lead to serious health problems, since the misplaced fat will inhibit the healthy functioning of these organs. For more information on fats and healthy eating, click on this link. Interesting fact about what are triglycerides: It is the glycerol molecule in triglycerides that can be converted to glucose, should you need more than the carbs in your diet and stored in your liver provide. Glucose is the preferred fuel for the brain and vital to red blood cells, which carry oxygen. Click on this link to go from What are triglycerides page to What is Eating Healthy page?